Fort Mojave Elementary's Fall Festival was an amazing time last Friday. 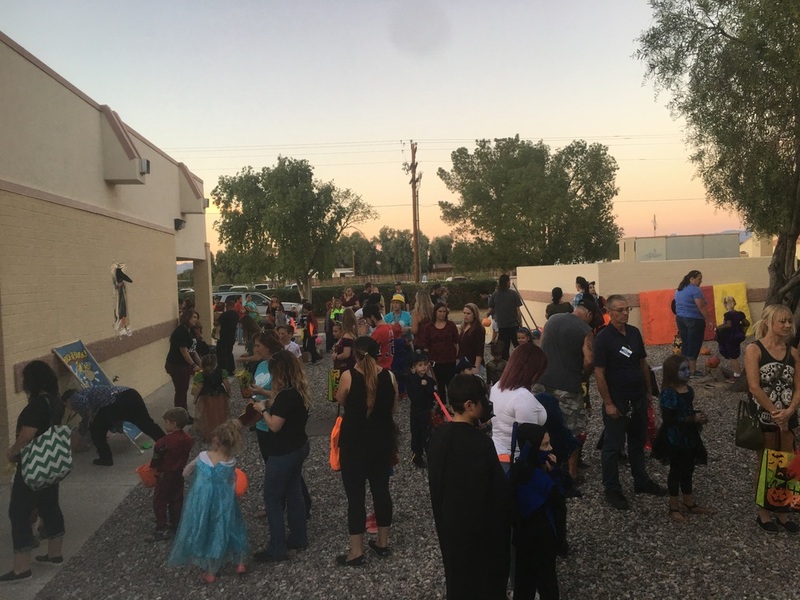 It was packed with fun, food, and families! Our staff put a lot of time and effort to put it on, and it showed. We are excited that so many families were able to come and enjoy the night. We would like to thank the following valued community partners for their donations to the night's success: Chili's, Target, The Bearded Gentleman, Bentley Place Salon, and Mad Dog Fitness. We also would like to extend a huge thank you to the following community partners who showed up and spend the night with us: Republic Services - they showed up with one of their garbage trucks; DOT Foods - they came with one of their semi truck and trailers; and Kids Quest- they came and set up a game for all the kids to play! It's community relationships like this that make a school successful!